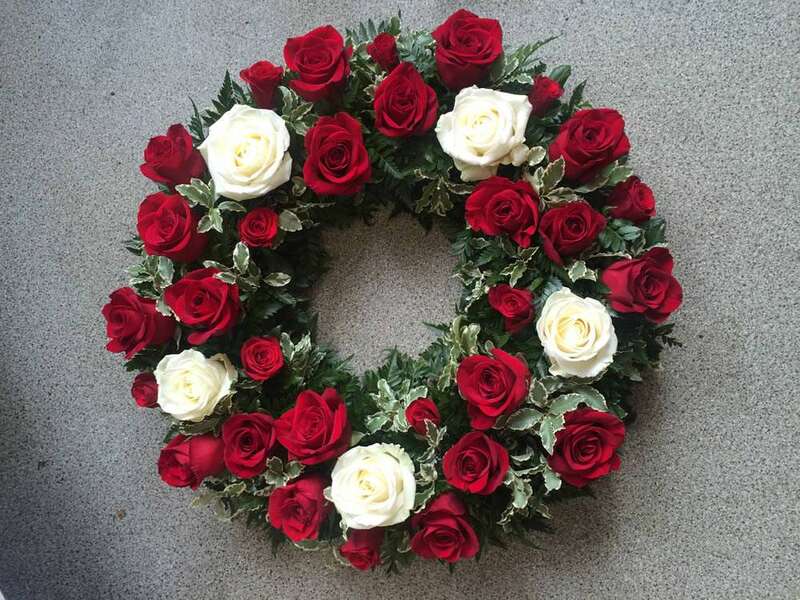 A ‘Polo’ shaped arrangement made on an oasis frame from 8″ up to 24″ or American style on an upright stand. 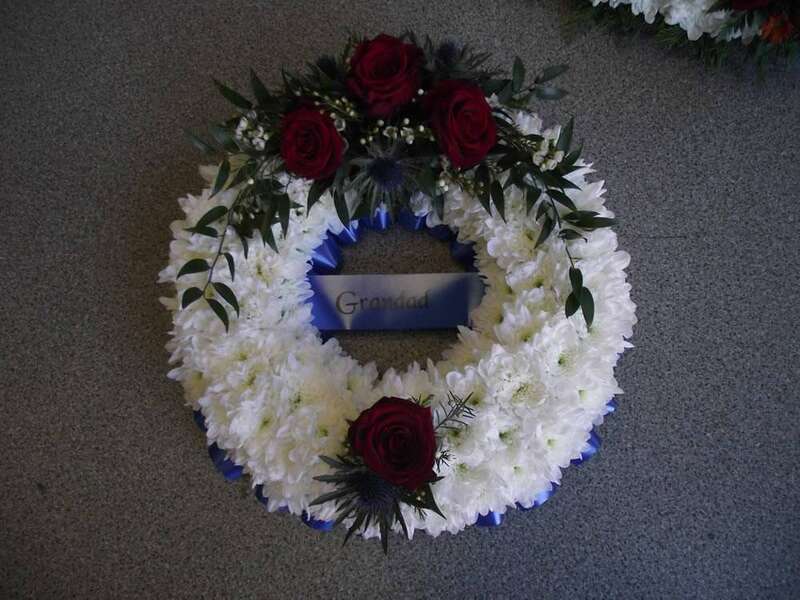 These designs are traditional and formal, ideal for a tribute where you’re a little unsure of what to send or want something conventional. 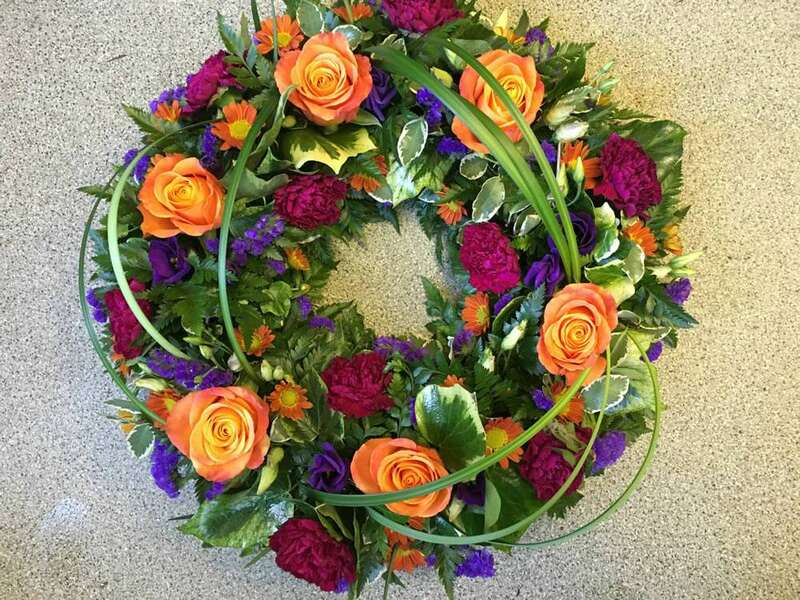 You can request your preferred colours in a seasonal design and leave the choice to our florists, or if you have particular flowers you would like included please let us know and we can advise you on their availability and cost. 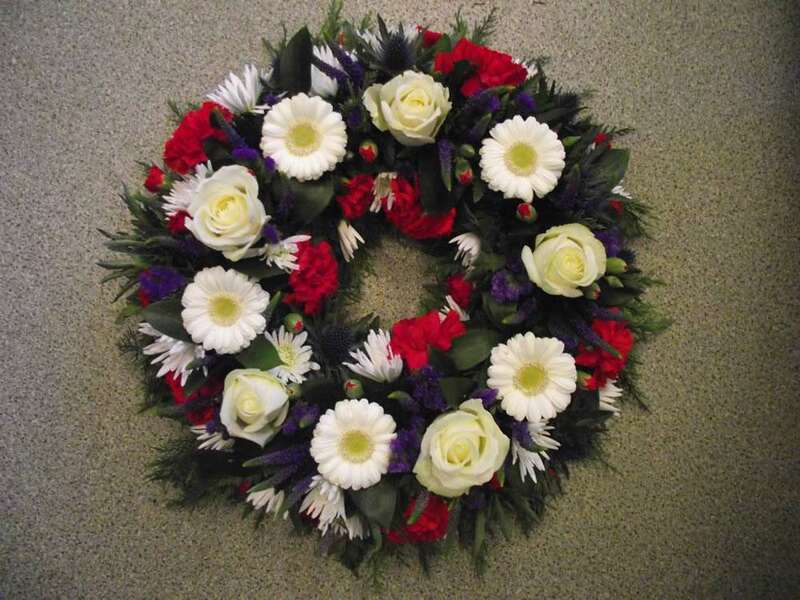 Wreaths can be made in an open/loose style or based/massed. 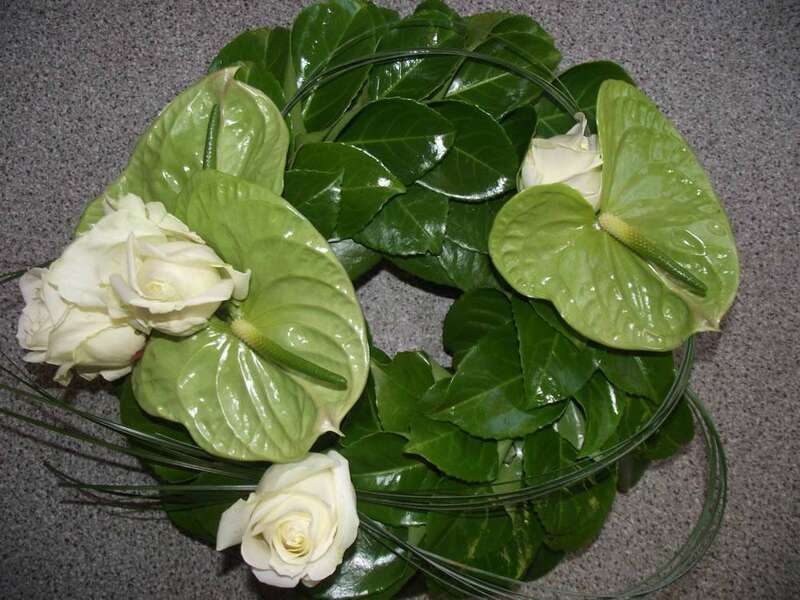 Basing comes in white, yellow or pink and can be edged in ribbon or foliage and have corsages/sprays to finish in your choice of colour or flowers. Textured, Garden Style or Vegetative designs are also available. 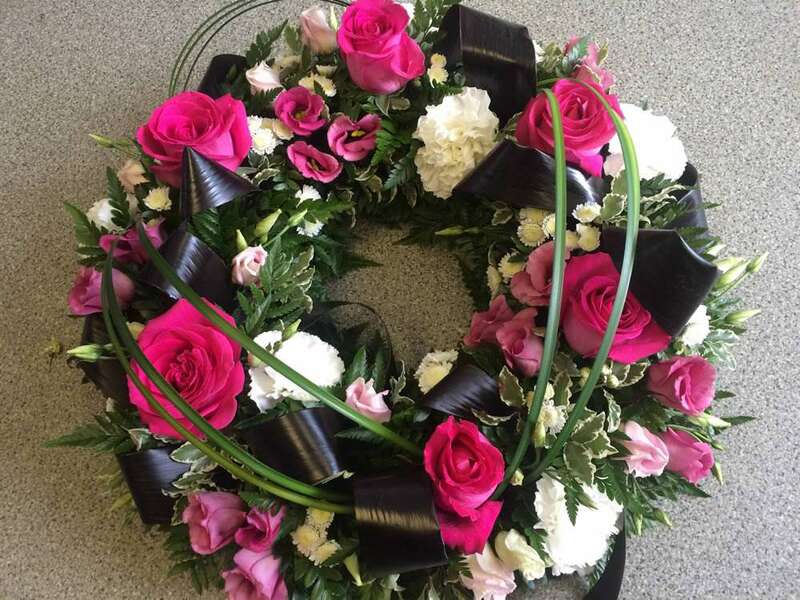 Names or words can be added on a printed ribbon sash to personalise your tribute. 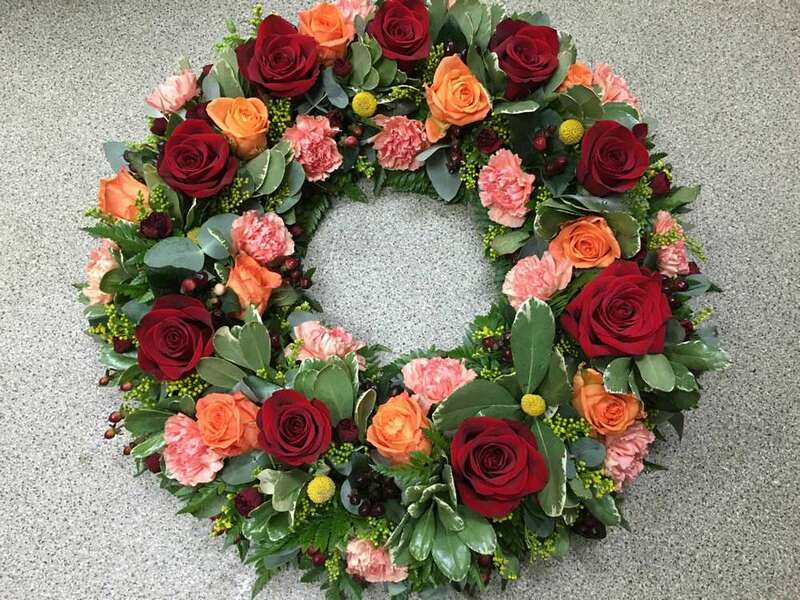 Photos or logos can be laminated and placed in the centre of a wreath or you can supply us with toys, models or trinkets to include in the design. Don’t worry, we can include them with no damage and they will be easily removed and retrieved following the service. Looking for prices? Please phone us or pop in to talk through your order. We aim to tailor your design to your requirements, this means no set pieces and each item is unique.